Please show your support for The Daily WTF by checking out the companies that have been kind enough to sponsor us. And, in doing so, I’m sure you’ll find some pretty cool products and services built by like-minded developers and IT professionals. Notacon - the annual conference held in Cleveland, Ohio, that explores and showcases technologies, philosophy and creativity often overlooked at many "hacker cons". There are over 40 presentations which are a mix of hands-on workshops and lecture style presentations, contests such as "Anything but Ethernet", prize giveaways and a whole lot of who-knows-what. Anything can happen, and usually does. And now, back to our regularly, completely off-topic scheduled program. 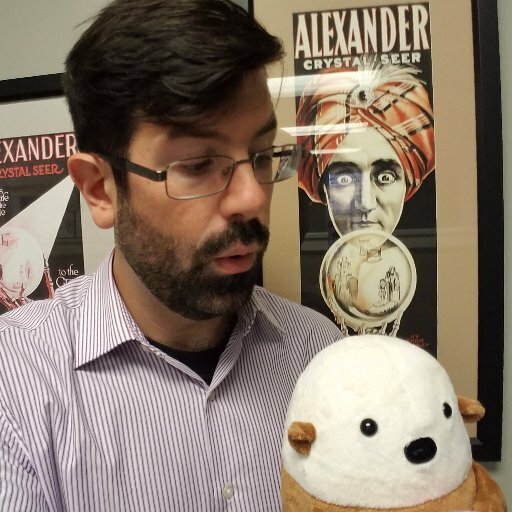 "Needless to say, I don't agree to the license agreements terms," writes Thomas Alexander Dark, "I'm not sure what's the bigger WTF, that you have to agree with an agreement you can't see or that this CD came with my Legal Studies textbook." 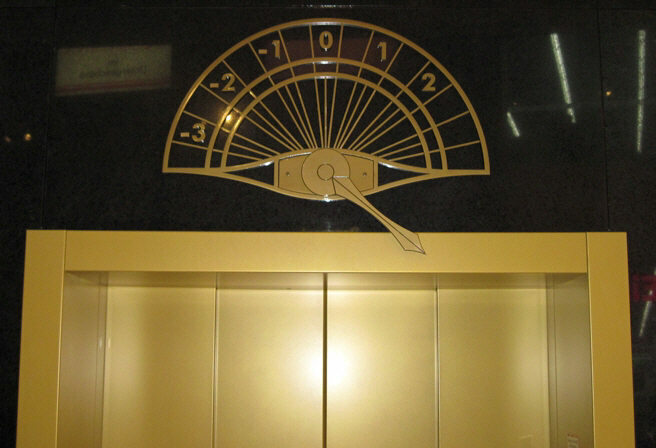 "There seems to be a bug in the lift controller," Norbert wrote, "model events like 'the lift crashed through the roof' can not be properly displayed by the model." "My wife bought this laser pointer for teaching in her classroom," Cliford C. writes, "but I could hardly wait to get home and use it to play with my pet owl, shark and tyrannosaurus rex!" 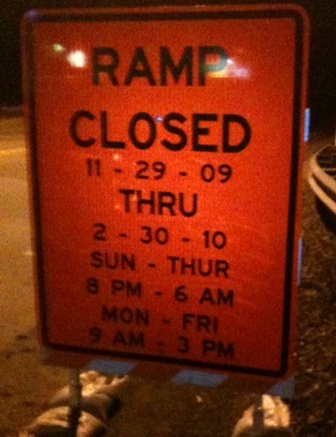 ""Cal Trans has done it again," notes Cody Gratner, "ramp closed until February 30th? " 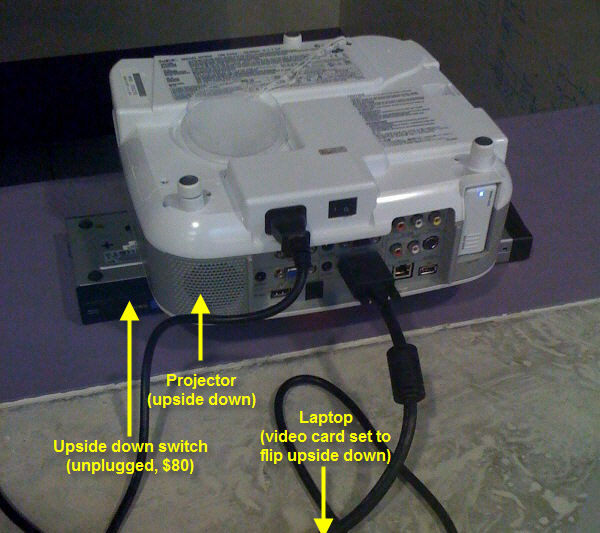 "They sell little devices that flip a VGA signal such that you can mount your projector on the ceiling, upside down," writes Mat, "my work has one of these, but it's currently being used to sit under a projector... which is turned upside down, and has video going to it from a laptop configured to flip the screen upside down." "Outsourcing ad banner copy is probably not the best idea" writes Kevin, "at least with a poorly-written user manual, you're stuck with it since you've already bought the product." 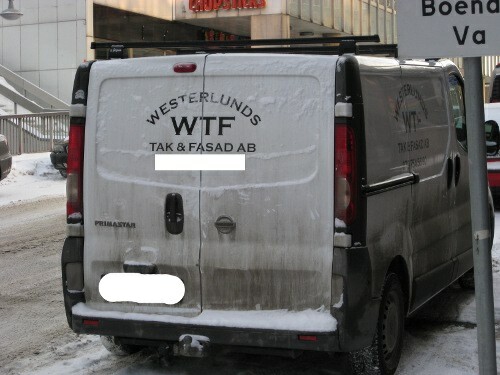 "I spotted this in downtown Stockholm," notes Niklas Karlsson, "the firm's name translates as 'Westerlund's Roofing & Facades.' I'd have thought most people would realise what the acronym would be taken as, given the general level of English spoken here." 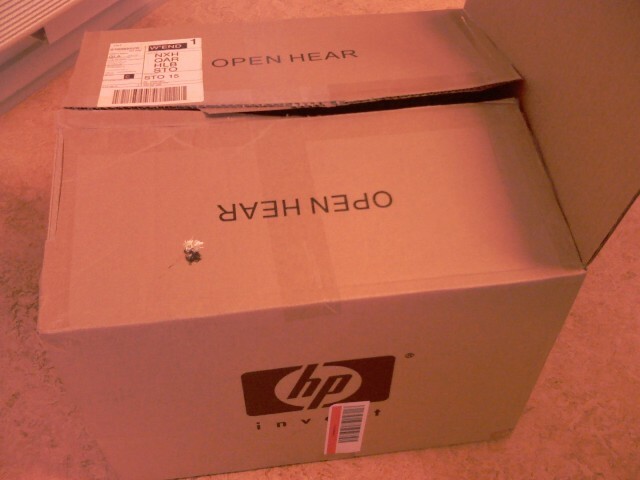 "One might think that opening this particular box, containing a new PC from HP, would somehow bring about a nice song for you to listen to," Jan Kristensen writes, "you know, a bit like those electronic greeting cards that you can get everywhere? We listened to see if it contained other sounds. Sadly, it did not."